After trying the traditional publishing route with no success—or possibly deciding right from the beginning—many authors are choosing to self-publish their books. However, before you sign on the dotted line with a self-publishing company, do your research! A lot of self-publishing companies are more interested in making the sale—and not so much in you and your book—so they promise the moon and the stars: Is the self-publishing process easy? Sure! Will my book sell like hot cakes? Of course! Will I make tons of money? You bet! However, savvy writers know the truth: The process can be complicated, a book doesn’t sell itself, and you won’t be retiring to live off your fat royalty checks anytime soon. Check out our fact-revealing exposé so you won’t be bamboozled when making self-publishing decisions. Lie: Every author who self-publishes is a success! Truth: While true in some cases, self-publishing is not a guarantee of success. Of course, there are authors such as E.L. James, Lisa Genova, and Andy Weir, whose self-published books became best sellers and went on to garner literary awards and successful film adaptations. But for every self-publishing success story, there are thousands of authors whose self-published books never sell due to poor marketing or poor production quality. Lie: We’ll market your book so that it flies off the shelves! Truth: You may think that the hard part of being a published author was writing, editing, and formatting your book. Now that your book is published, you’ll just sit back, relax, and watch the sales roll in, right? Wrong. Here’s a reality check: Marketing your book and boosting sales are the hard parts! And some self-publishing companies claim that their marketing support will boost book sales. But even with marketing help, authors must still promote their books themselves. Press releases, posters, bookmarks, and such won’t make a difference if you’re not out knocking on doors and setting up your own promotional venues. Lie: Your book will be in major bookstores! Truth: Many self-publishing companies promise authors that their books will be available in major bookstores such as Barnes and Noble. But what really happens is that your book—along with thousands of other titles from big-name publishing houses—will be listed in databases from which bookstores order their books. This isn’t bad (in fact, it’s a good thing! ); it just may not be what you expected. Again, you’ll have to do a lot of the work to get your book into brick-and-mortar bookstores. Lie: Your book will look just like one that’s traditionally published! Truth: Self-publishing companies will create exactly what you give them, so if your manuscript is full of typos, needs editing, or is poorly formatted—that’s what you’ll get in your finished book. And if your cover art uses poor quality images, has a busy layout or hard-to-read typefaces, or doesn’t accurately reflect your genre, readers will be turned off by the perceived poor quality. 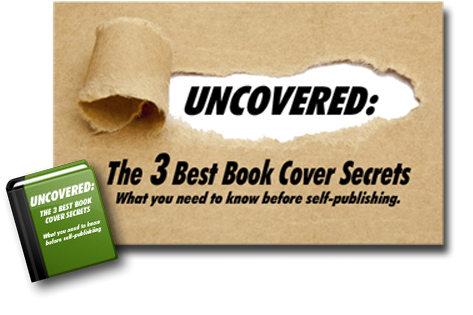 Since your book cover is your biggest point-of-purchase sales builder, it’s important that your cover is designed by an expert. The quality of your self-published book is ultimately your responsibility. It’s imperative that you proofread and format your manuscript carefully; you might even want to hire a professional. The truth about self-publishing is that it can be a complicated process with lots of details to consider and keep track of. If the idea of doing it alone seems daunting, Self-Publishing Relief can help you navigate every step of the process so that you have a book you can be proud to put your name on. And we offer marketing support to help you get the word out about your book—without the unrealistic, pie-in-the-sky promises that some publishing houses make. Schedule your free consultation today! Question: Has a self-publishing company ever misrepresented what it could do for you? Well, no but they sure had a poor choice of book cover art AND I have had it out for 5 months on Amazon and CreateSpace and there have been ZERO sales so far. I don’t know if anyone on amazon even knows my book is there for sale. This publisher didn’t charge me a thousand $ but the book cover alone has zero to do with the title. and I have a contract for two more years.